Select 5 seo tools in 11 seo tools: Ravenseo, Majestic, Moz, Buzzsumo, amhref, Long Tail Pro, Registercompass, Indexification, Gramamrly, Woorank, Cognitiveseo. Buy select 5 seo tools in 11 seo tools: Ravenseo, Majestic, Moz, Buzzsumo, amhref, Long Tail Pro, Registercompass, Indexification, Gramamrly, Woorank, Cognitiveseo. We guarantee tools will work fine at any time, but some tools will be limited because we will block a feature to avoid abuse in Majestic, Wordai. And limit the number of test each tool because we provide this tool combo only for those who really need to use all the tools, but those who do not use up, please do not order to avoid using the tool. unsatisfied. We have a lot of combo pack selection tools like combo pick 10 tools, combo pick 15 tools, combo pick 20 tools or pick single tools. 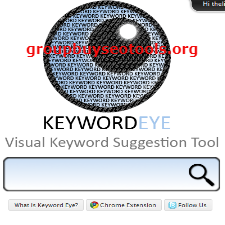 You can get tools here—->>> groupbuyseotools.org. Combo packages with less number of tools and their number of checks are also increased. This combo package will save you a lot of dollars. We have provided the cheapest and most quality tools available in the world today. Please do not take our tools to share or have sell behavior. We will control very closely with those who break, we will lock the account and not refund.